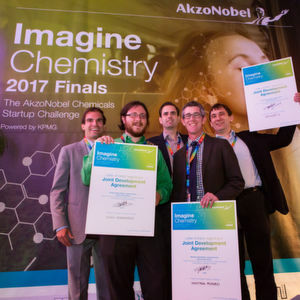 Amsterdam/The Netherlands — Renmatix is one of the winners of the 2017 Imagine Chemistry challenge, a program through which Akzo Nobel Specialty Chemicals collaborates with startups, scale-ups, scientists and others to uncover business opportunities for sustainable chemistry. The company's proprietary Plantrose Process utilizes 'supercritical' water under high temperature and pressure to convert biomass into cellulosic sugars and bio-fractions, which are valuable green chemistry building blocks. 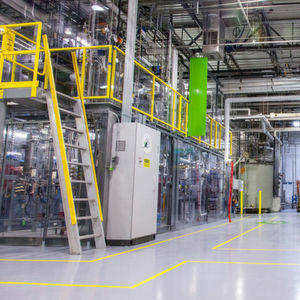 It is the first application under a joint development agreement signed by the companies to research, develop and commercialize novel products using Crysto Cellulose, a unique form of crystalline cellulose, and the newest bio-fraction isolated by Renmatix. According to Geert Hofman, General Manager of Akzo Nobel Specialty Chemicals' Performance Additives business, the partner's thinking and their development of a biomass conversion technology is not only disruptive technically and economically, but also enables green chemistry. Being able to access and work with unique cellulose materials derived from biomass fitted closely with the growth strategy and innovation agenda and would give a significant sustainability advantage to the company's customers, Hofman added. Mike Hamilton, Renmatix CEO, said that the agreement was significant because it demonstrated a bright future for plant-based ingredients in the industrial materials segment. Akzo Nobel will work jointly with Renmatix to develop a range of novel cellulose-based materials for commercial use, ranging from improving personal care to cleaning and construction materials. The collaboration is the second successful result of the 2017 edition of the Imagine Chemistry challenge. Earlier this year, the speciality chemicals company announced that it would use watermark technology developed by Fili Grade that provides an invisible watermark for packaging.